died at the age of 56 on April 27, 2015, at a local hospital. Steven was born in Salem to James and Wilma (Lacy) Enyart on July 15, 1958.
was a member of the Lutheran Church and Lions Club. 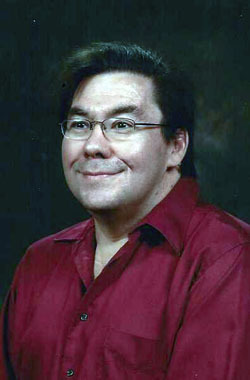 Steven was a member of the Seneca Cayuga Tribe in Oklahoma. nephew Knox Pouliot, of Albany. Steven was preceded in death by his father James. A private graveside service was held at Belle Passi Cemetery in Woodburn. Arrangements made by Simon-Cornwell Colonial Chapel of Woodburn.